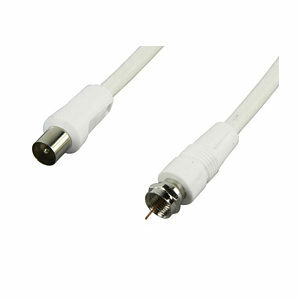 A high quality 1.5m f-type to coax plug cable. High quality coaxial cable 3C2V/RG59 75 ohm. F-type connector to coax male connector. High quality dual RG6 coaxial cable satellite coaxial cable. Double screened, braid and foil screen. Foam filled. 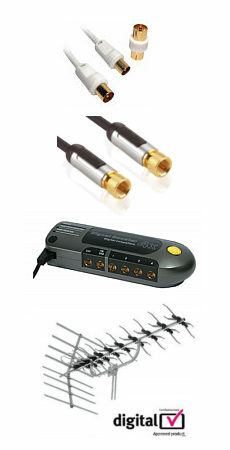 Length 5m Ideal for LNB dish connections on Sky, Sky Digital, Sky+, Sky HD, Freesat and other satellite receivers and cable TV systems. Colour black.